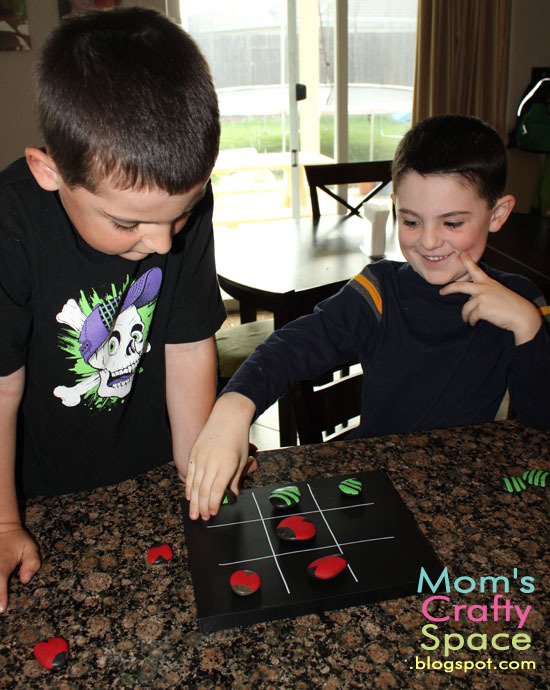 These days it’s all about tic tac toe in our house. My older boys play every chance they get, and since they will play it for an hour it’s great when I’m running around trying to get dinner ready. I saw an idea on Joann.com awhile back for a ladybug tic tac toe set made with a chalkboard and rocks, and I knew I had to make it. I had some chalkboard vinyl from Mindy Mae’s Market leftover after making the boys art armoire chalkboard, so I simply cut a piece to size and wrapped it around a scrap piece of wood I found in the garage. 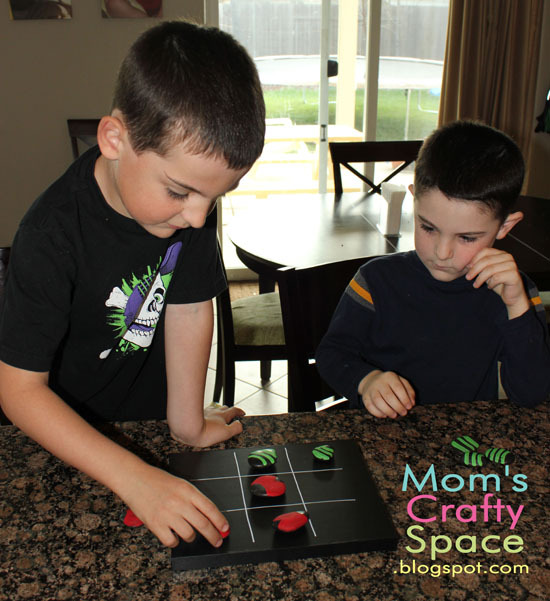 I used my favorite chalk markers to draw a quick tic tac toe grid for the boys, but since it’s all erasable we can use the board for messages or other purposes in the future as well. We painted some rocks from our garden to look like bugs, but since the boys wanted to play ASAP our poor little buggies still need to have their black paint and eyes painted on. Oh well, in time. Tic tac toe, I win! 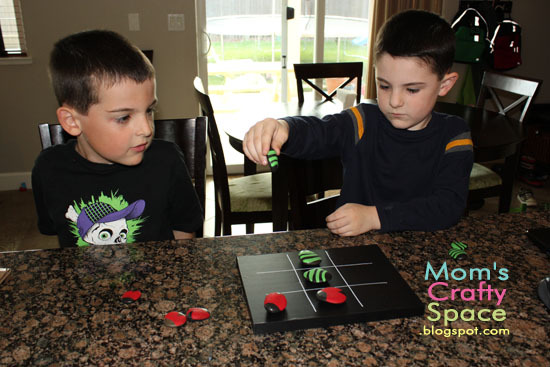 These guys love our new game, and it was so quick and easy to create!